In February, 2017, a study by Yale University professor of psychiatry, Suchitra Krishnan-Sarin, was published in the Journal of Pediatrics on the subject of e-cigarettes. * The thrust of the article concerns the practice of “dripping” where, reportedly, one in four high school teens have tried this new vaping method. Researchers reviewed survey responses from 1,080 e-cigarette users at eight Connecticut high schools and learned that 26.1% had tried dripping. 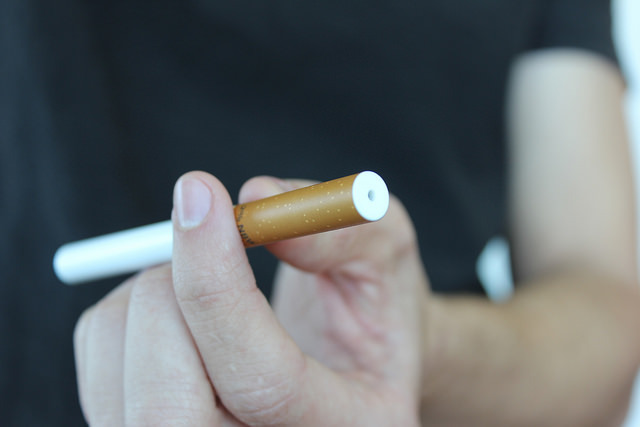 A normal e-cigarette releases the liquid inside the device onto a wick that slowly exposes the liquid to a hot battery-operated atomizer. The liquid then turns into a vapor instead of smoke. “Dripping” involves dropping the liquid directly onto the hot coils of the device to produce a thicker smoke. 64% of the surveyed teenagers said they dripped for the thicker smoke, 39% for a better flavor, and 28% for a stronger throat hit or sensation. The study explains that users may be exposing themselves to higher levels of nicotine and non-nicotine toxins, including formaldehyde, a known carcinogen. Krishnan-Sarin commented that “The teen brain has been shown especially sensitive to nicotine.” By “dripping” you’re experimenting with your brain – is it worth the risk?